History repeats itself, or more aptly in Nigeria, we keep going round in circles so that we end up from where we started. We move in a barber’s chair dissipating a lot of energy without forward propulsion. Curiously, we expect new results from repeating experiments with the same chemicals without changing the internal and external circumstances that led to the first result. But this is not the way of economic development, prosperity and improvement in human development indicators. Rather, it is the way of perdition; of a people unprepared for today’s challenges while struggling to revel in the glory of a not too glorious past. Something crucial is lacking in our attempts at development and nation building. It is the absence of a pan Nigerian consensus about the direction of development. We have also not defined what development means to us. 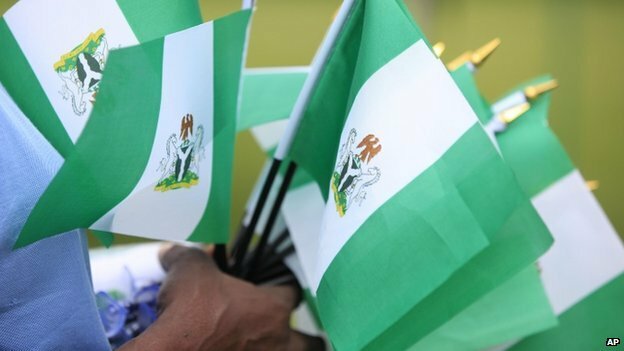 Nigeria struggles with the absence of an elite consensus which mobilises all the available resources and positions them to contribute to the much cherished goals. You may not be able to arrive at a destination you can hardly find on the map. Is your destination in the North-East of South-West? When you decipher where you are going, it becomes easier to chart the way and trace the nearest route to reach your destination. When former President Goodluck Jonathan took over power, he did the rounds of attending the G7 Summit and thereafter had a one-on-one with President Barack Obama. Before him, former President Olusegun Obasanjo had literally travelled round the world ostensibly looking for foreign investors and to reintegrate Nigeria into the comity of nations after the inglorious military era. Lots of hope and promises about assisting the country were raised and of course, we all know what came out of those shuttles. Going full circle, President Muhammadu Buhari is starting with those shuttles and of course, the hopes are being raised again. So, what is different this time? I dare say nothing. All these shuttles were in the mistaken belief that Nigeria’s developmental challenges were going to be solved by one or two benevolent advanced countries. Being a living witness to the past 16 years reaffirms that no one is going to bail us out unless we decide to get ourselves out of the economic, social and political ditch. Every other nation is an outsider with an interest to serve and that interest may not coincide with our national interest. Back to the elite consensus, Nigeria will begin her upward journey when the elite who lead all spheres of national life come to a consensus about where we are, where we want to be and the path and strategies to get there. It is clear that as of date, the Nigerian elite have not come to terms with the fact that Nigeria is a very poor country. I am not referring to our potential which can be harnessed at a future date, but I am talking about concrete and available human, technological, financial, information and natural resources to satisfy our needs. We are poor by all standards; the skills knowledge and competencies to harness available natural resources and convert them from mere unrefined commodities to goods and services which attract higher market prices are not in place. Some of the few individuals who have acquired these skills, knowledge and competencies have been lost to brain drain and no efforts are made to change the process to brain gain. The poor development of human resources paves the way for the legalised expropriation of our natural resources by other nationals. Thus, we have oil which we cannot harness except foreigners come to invest; our gas resources are virtually stranded because we do not have the technology to utilise the same. In the meantime, we cannot power our electricity generating plants due to the shortage of gas. So, we retain only a fraction of whatever resources that comes from the exploitation of our natural resources and the rest must go to other countries. Instead of agreeing on our relative poverty and committing that there is work to be done, our political elite wallow in the false belief that we have a lot of ready resources and the challenge as they define it, is for them to expropriate the resources for their families as against the national interest. And the best way is to think of some foreign investors to collaborate with at the earliest possible opportunity. This mindset is not only pedestrian but that of a slave and a product of colonial mentality. So, what do you find? Our hospitals are not working; fly the elite to world class hospitals in America, Europe or Asia. The schools are substandard; send their children to the best the world or even Africa can offer. We need to fight insurgency; go and import arms and even beg with your money when they refuse to sell to you. Imagine the humiliation of a Nigeria complaining and throwing tantrums because another nation refused to sell arms to us and ostensibly accuse us of human rights violations! To be classy and to belong are to wear dresses sewn outside our shores; the furniture in the parlours, bedrooms and kitchens have to be imported from Asia. The banks are scrambling over themselves to partner and provide retail vehicle financing for all imported brands that have established presence in Nigeria but, Innoson Motors, the only Nigerian vehicle brand with up to 60 per cent local content, attracts little or no attention from the banks. We claim to have become liberated and asked the colonial masters to leave us but the elite conspired to bring them back through the back door. We started building the steel industry, the foundation for major industrial complexes and after investing so much, we lost steam and allowed Ajaokuta Steel Company to decay and later handed over to some foreign interests who virtually cannibalised it. As of today, the steel complex is a good case study of the mental inferiority of the Nigerian and his ability to get defeat from the jaws of certain victory. The Central Bank of Nigeria closed the official foreign exchange window for imports of toothpick, furniture, clothes, etc; instead of seeing the opportunity to stop the foreign exchange haemorrhage and build local employment, a section of the elite are busy reaffirming their slavish shortsighted mentality and asking that the window be opened. Tough times demand tough decisions; hardship and challenges should provide the anchor to birth innovations. It is time we told ourselves the truth. No foreigner will develop Nigeria for us, rather they see Nigeria as a land waiting to be exploited and its resources expropriated to foreign lands. The elite of Nigeria must be told in no clear terms that it is the elite of America, Europe and Asia that built their countries. President Muhammadu Buhari once stated that this generation and indeed future generations of Nigerians have no other country than Nigeria; that we must stay here and salvage it together. I now add that Buhari must mobilise all the existing energies of Nigerians at home and abroad to build our country. Foreigners can assist if they wish to help but we must rely on ourselves whilst they merely assist at their own pace.